Add a touch of luxury to your weeknight menu with our deliciously succulent venison steaks. Rich in colours and flavours, this dish champions British produce and is truly something special. 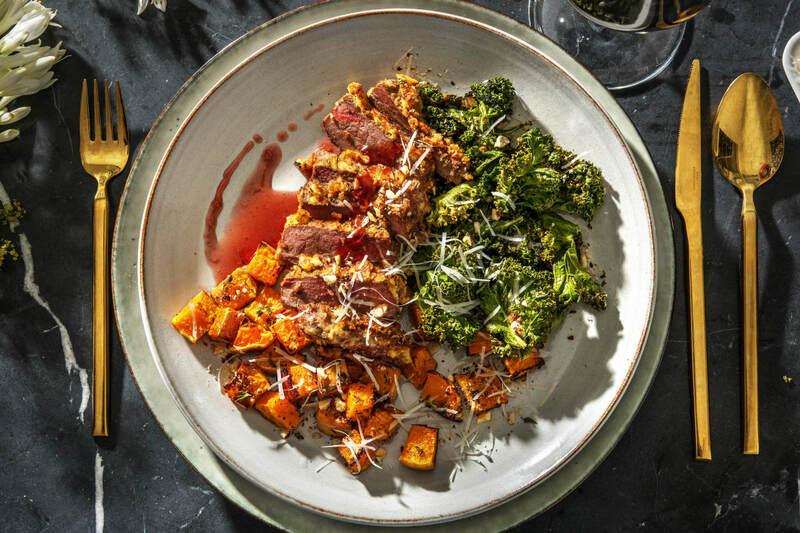 Thyme roasted butternut squash, earthy wilted kale and a sweet redcurrant jus are the perfect accompaniment to hazelnut crusted venison. Pair with a glass of red to really spoil yourself. Preheat your oven to 200°C. Trim the butternut squash then halve lengthways and scoop out the seeds. 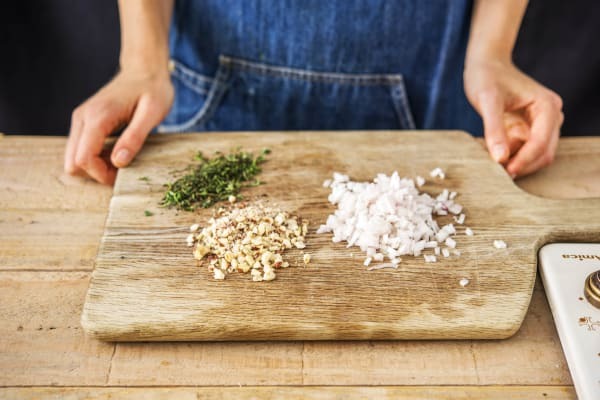 Chop it widthways into 2cm wide lengths, then chop into 2cm chunks (no need to peel) Pop on a lined baking tray, drizzle with oil and season with salt and pepper. Add half the thyme (leave the sprigs whole), toss together, spread out and roast on the top shelf of your oven until soft and golden, 25-30 mins. Turn halfway cooking. Meanwhile, halve, peel and chop the shallot into small pieces. Pick the remaining thyme leaves from their stalks and roughly chop (discard the stalks). Roughly chop the hazelnuts. 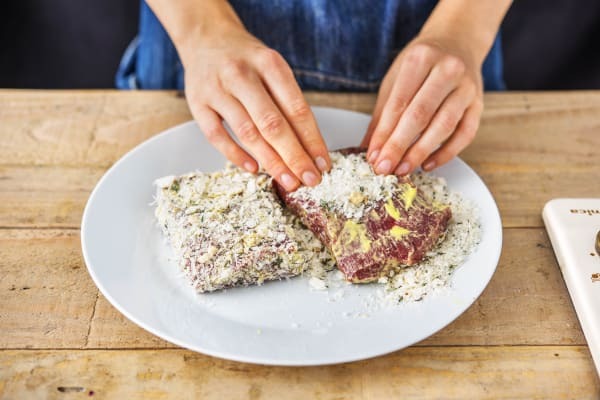 Pop the panko breadcrumbs, half the cheese, half the hazelnuts and the remaining thyme in a small bowl and stir together. Spread this crumb mixture out on a plate and set aside. 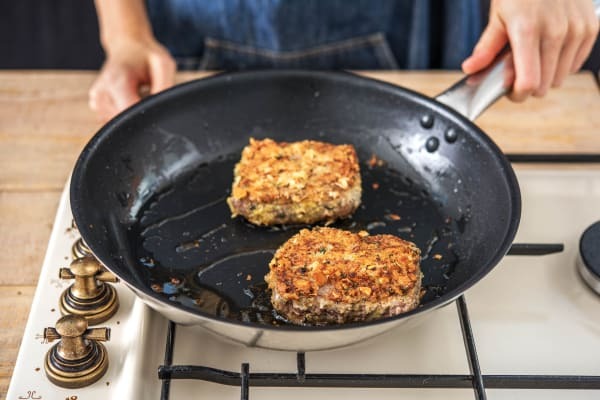 When the pan is hot, carefully lay in the crumbed venison steaks. Fry for 2-3 mins on all sides, then remove from the pan and set aside on a plate. Cover loosely with foil. (Keep the pan, we will use it later!) TIP: We like our venison rare, if you like it more well done, cook for 2 mins more on each side. 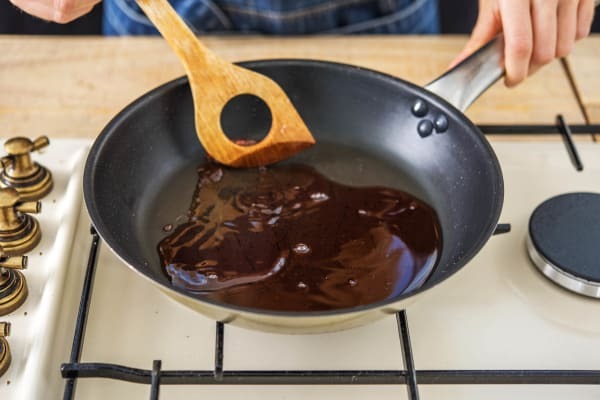 While the venison is cooking, heat a drizzle of oil in another large frying pan on medium heat. Add the shallot and cook, stirring, until soft, 2-3 mins. 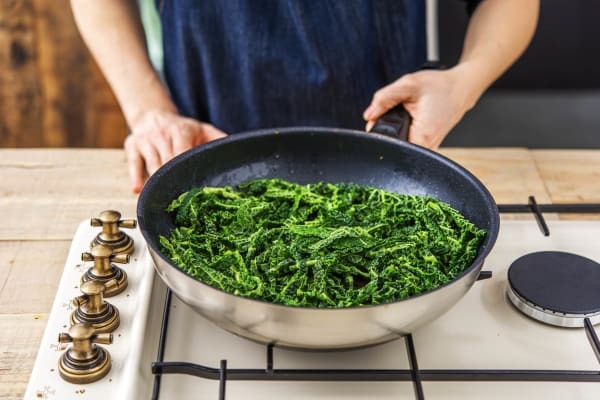 Add the kale, stir together then add a splash of water and pop a lid on the pan. Steam-fry until the kale is wilted, 4-5 mins, then remove from the heat. Season to taste with salt and pepper if needed. Wipe out the pan, return to medium heat and add the redcurrant jelly and water (see ingredients for amount). Stir to dissolve the jelly and simmer until you have a glossy jus, 2-3 mins. Slice the venison thinly. 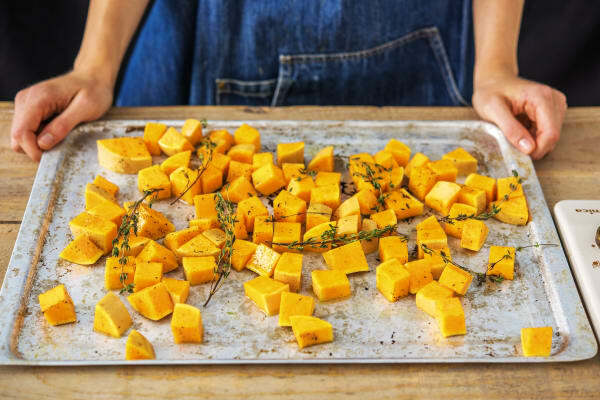 Arrange the roasted squash and kale on your plates then top with the venison. Scatter over the remaining hazelnuts and cheese, then spoon the redcurrant jus all over. Enjoy!